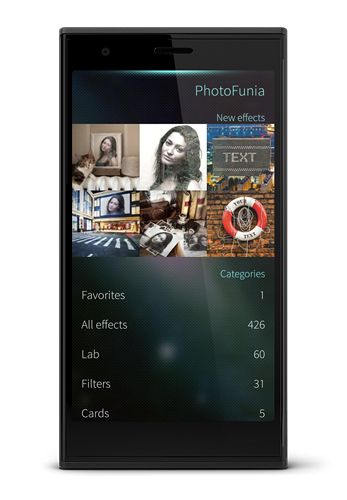 PhotoFunia app for Sailfish OS has been released and is now available for download on Jolla Store! Say hello to PhotoFunia on iOS7! PhotoFunia update for iOS7 is avaliable in the AppStore! We are serious about fun. 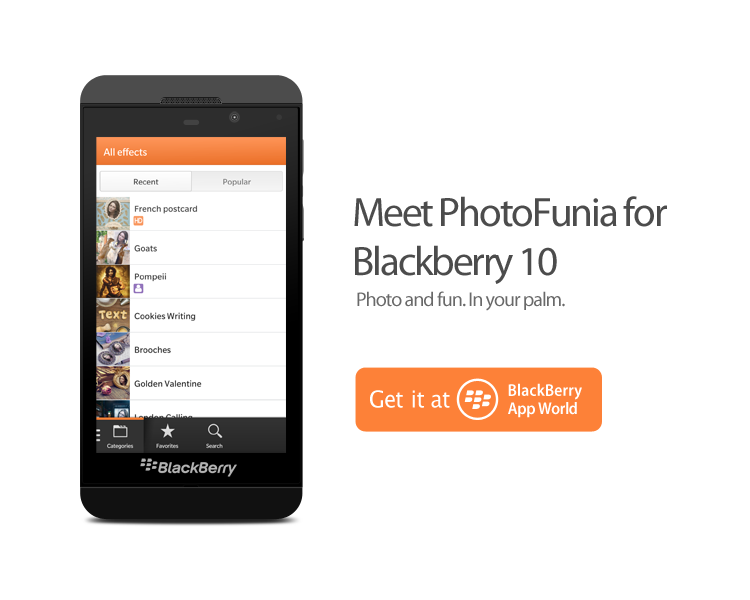 Download PhotoFunia for your Blackberry 10 device now. 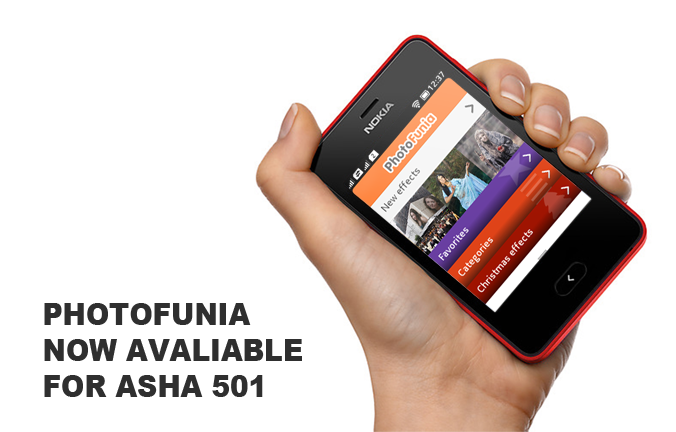 We are really excited to announce that PhotoFunia is now available on all devices running Firefox OS. 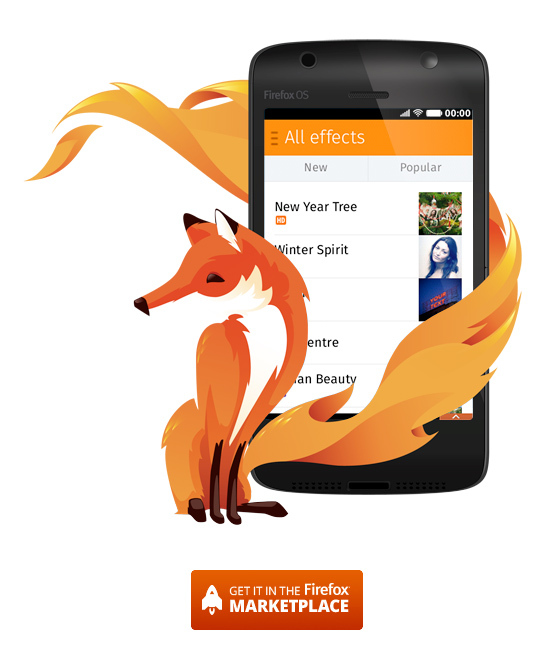 Head over to Firefox Marketplace and download the app absolutely free of charge. PhotoFunia for iPad. Coming to AppStore later this month. A legendary app is now available on a legendary phone. Get PhotoFunia app for your BlackBerry phone from AppWorld now! For free. Seriously! We are really excited to announce the release of PhotoFunia App for Google Android devices which is available in Android Market for and unbelievable price. FREE. To download the app please search for photofunia in Android Market or simply point your phone's camera to above QR code from any barcode reading app. Get ready for something exciting. PhotoFunia you all love is coming to all Google Android devices this April. It will be available for free at Google's Android Market. Stay tuned for more information.